A classy shawl with a red carpet look. 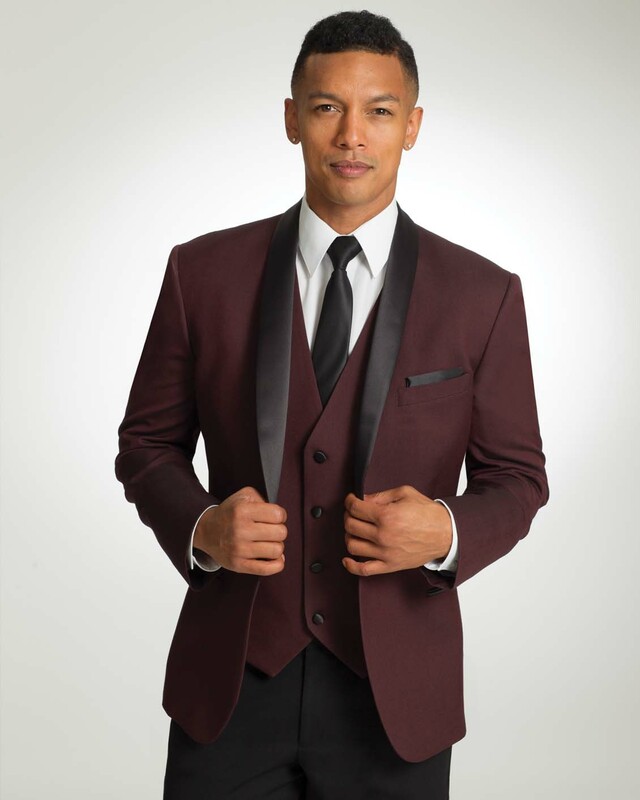 The maroon tuxedo is the newest addition to colored collection. Stand out from the crowd with this sharp and elegant tux! Can be worn with matching pants or black pants.